If you ever find yourself with the opportunity to travel abroad and visit other cultures, then sightseeing should be first on your list. Of course, sightseeing doesn’t have to be limited to witnessing nature and the buildings surrounding the area. You could also find yourself stumbling into some truly colorful festivals that the locals are partaking in. Some of these require stripping completely naked, some require sitting in a coffin, but what they all have in common is that they are bizarre. Here are ten unusual festivals you’ll want to visit. 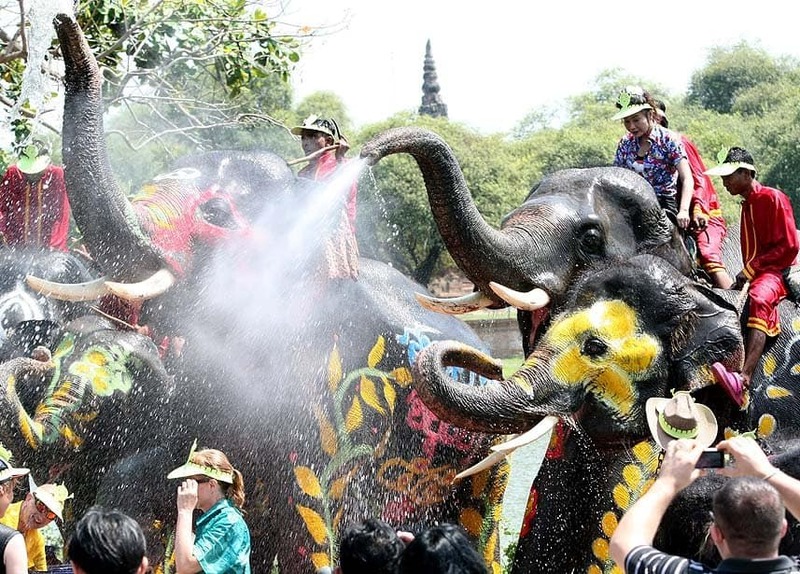 Each year, thousands of people come together in the streets of Thailand to take part in the world’s largest water gun fight. The entire country goes into lockdown and loads up their super-soaker squirt guns for some fun. Some people even use entire buckets or elephants. Tunarama sounds like a horrible Sy-Fy film, but this annual festival is used to promote the tuna industry within Australia. 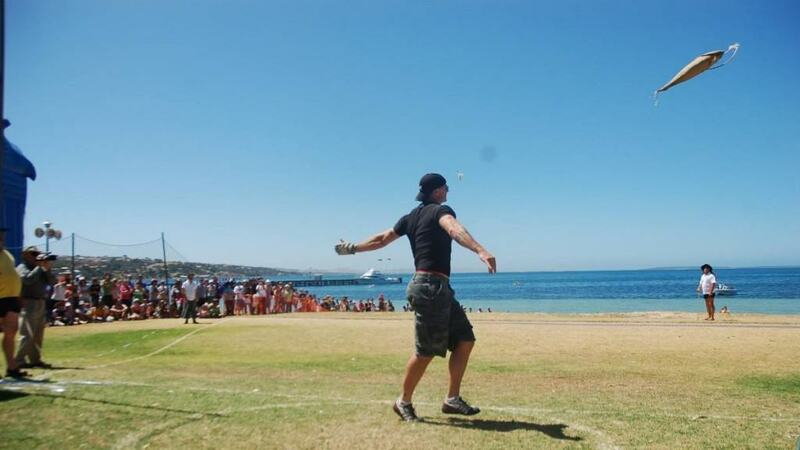 The people come to the beaches to take part in the main event: the tuna toss. 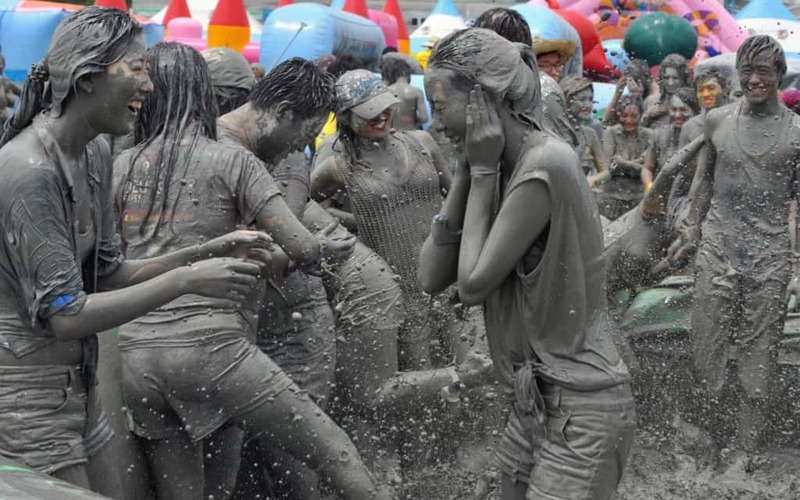 Each year in Boryeong, South Korea, millions come together to take part in an international mud fight known as the Boryeong Mud Festival. It was first said to be a marketing event for cosmetics, but became so much more. 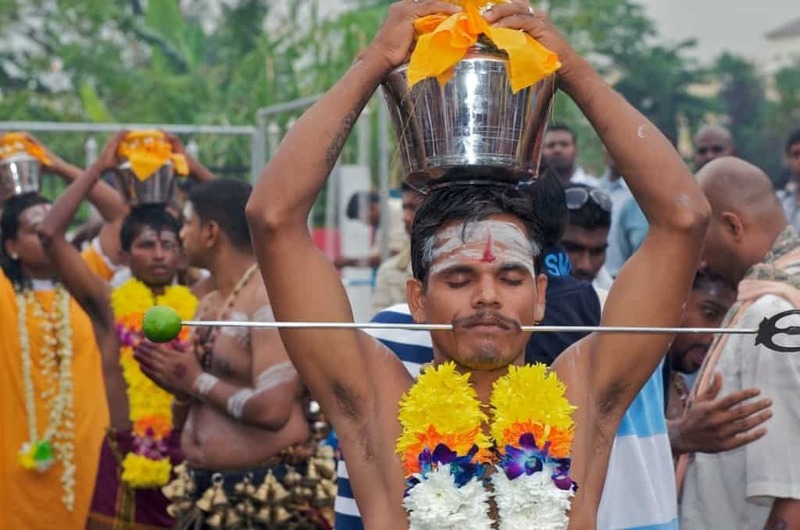 Thaipusam is a popular holy festival in India that celebrates the Hindu gods through prayer, feasts, chanting, and piercing the body with various skewers, including wood and metal ones. Hadaka Matsuri takes place every year in January in Japan, when the weather is freezing cold. Thousands of men take to the streets after stripping the majority of their clothing off and wear nothing but a loincloth. The Fiesta de Santa Marta de Ribarteme takes place annually in Spain. People who have faced death and survived are the focal point of the celebration. 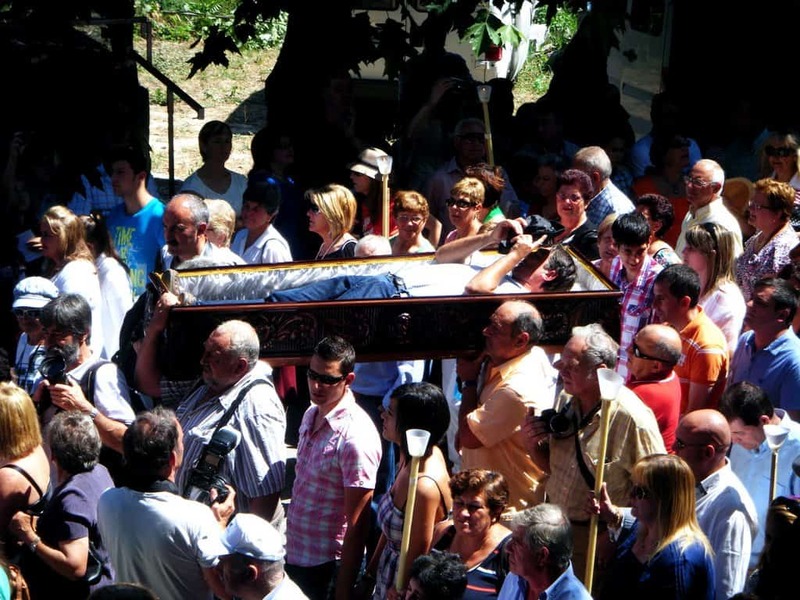 These survivors are placed in coffins and are then carried around to the cemetery and local church. 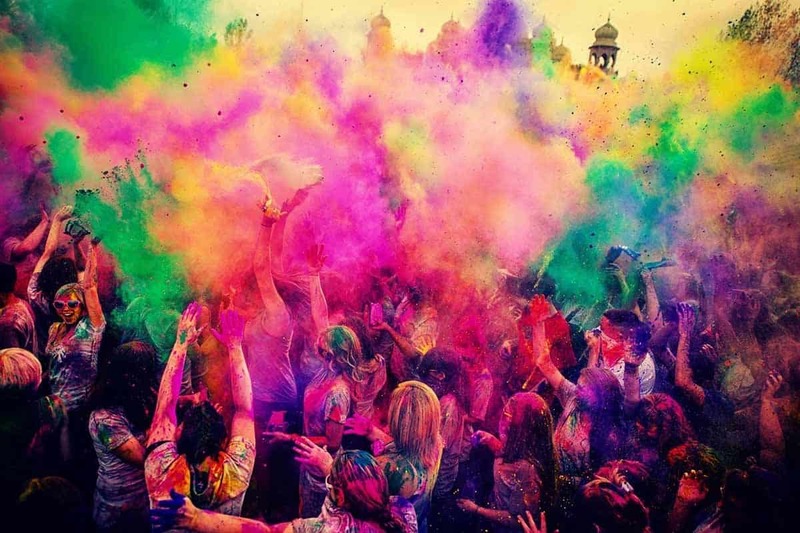 Holi, another famous festival throughout India, requires patrons throwing various colored powders known as gulal. These wet colors cover everything, including clothing and the streets. 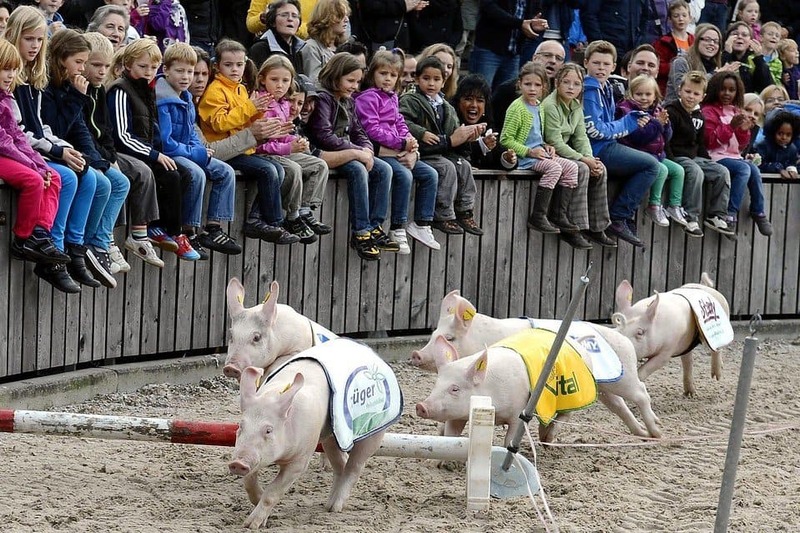 The people of France really don’t care what you think about them, so they decided to introduce the annual Festival of the Pig in Trie Sur Baise. The town is host to the biggest pig market, and the people are very passionate. Krakelingen is totally bizarre. 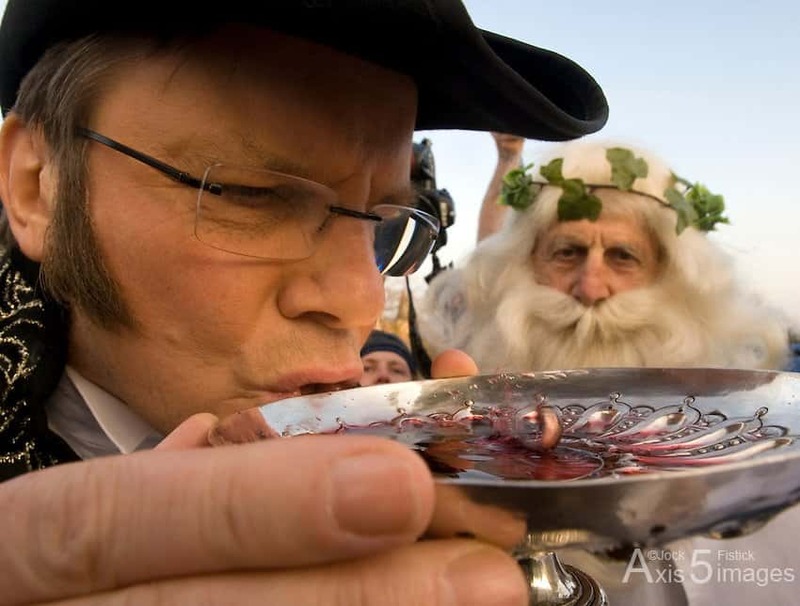 This fish swallowing festival takes place on the last Sunday of every February in Belgium. People come together to gulp down still-living fish and red wine. Every year, just before Christmas, the people of Oaxaca, Mexico, host the Night of the Radishes. 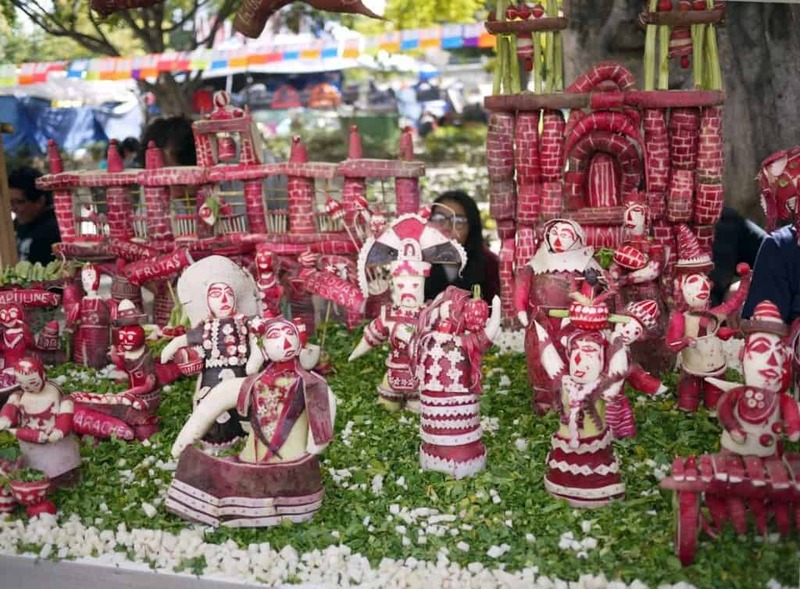 Street vendors bring out their overgrown radishes and begin sculpting them into various shapes and figures, in the hopes of winning an assortment of prizes.